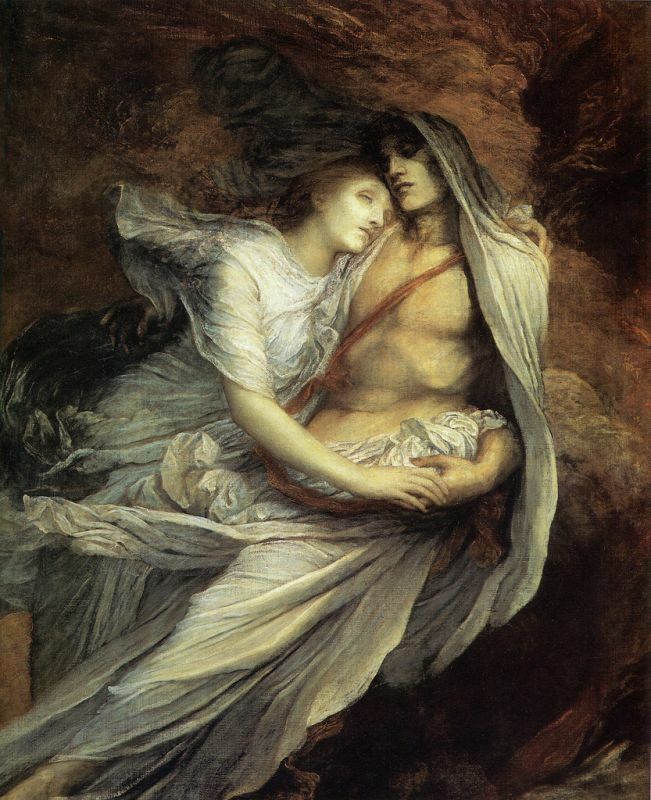 One of the most interesting periods in art history has to include the Pre-Raphaelite movement. Originally a secret society of artists formed by Sir John Everett Millais, William Holman Hunt and Dante Gabriel Rossetti in the mid 19th century. The Pre-Raphaelite brotherhood challenged "the frivolous art of the day." They aspired, according to Sr. Wendy Beckett to bring art "back to a greater truth of nature." Their work typically exhibited sensuous romantic heroines set against richly coloured detailed inspiring backgrounds. 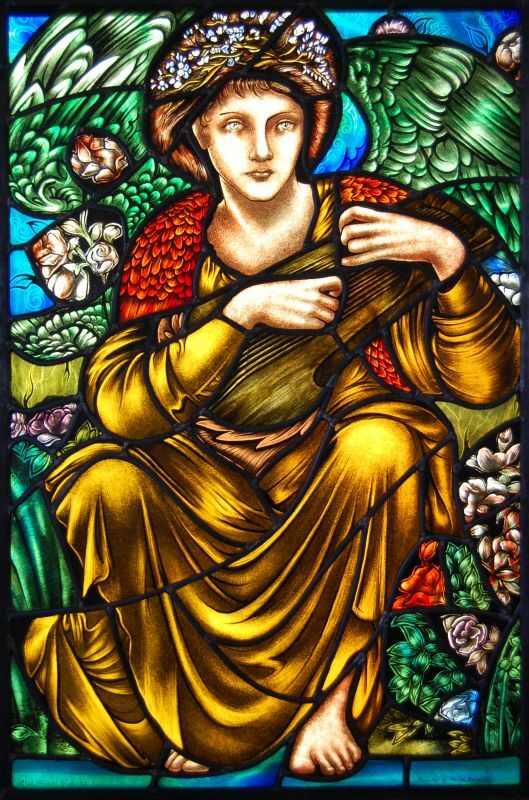 Although the brotherhood predominantly worked in oils, their work inspired many artists using other mediums including stained glass. 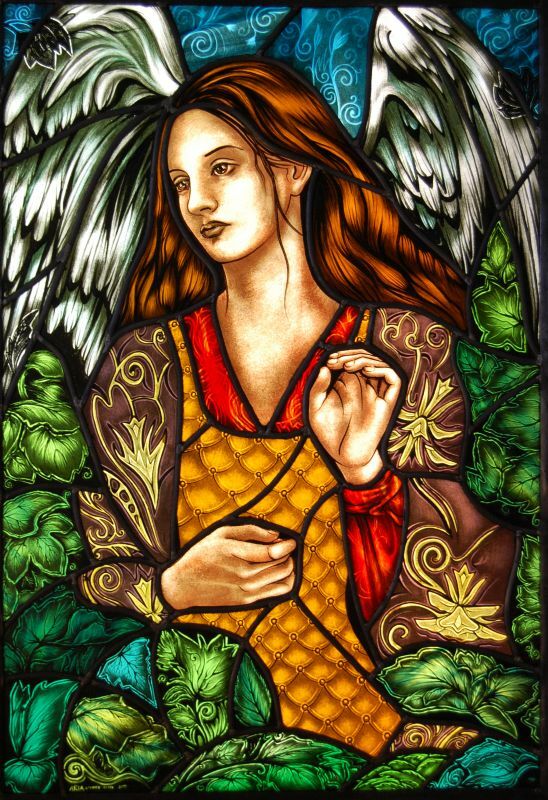 Today, artist Marija Kovač of Aria Stained Glass draws inspiration from the paintings of the Pre-Raphaelites to create beautiful customised stained glass windows. Her windows capture the spiritual calming nature of the original artists, skilfully focusing on elements within the composition. Her attention to detail is refreshing and striking, lending credence to the centuries old fusion of mouth blown glass and painting. The first window in the series is titled, The Middle Child. 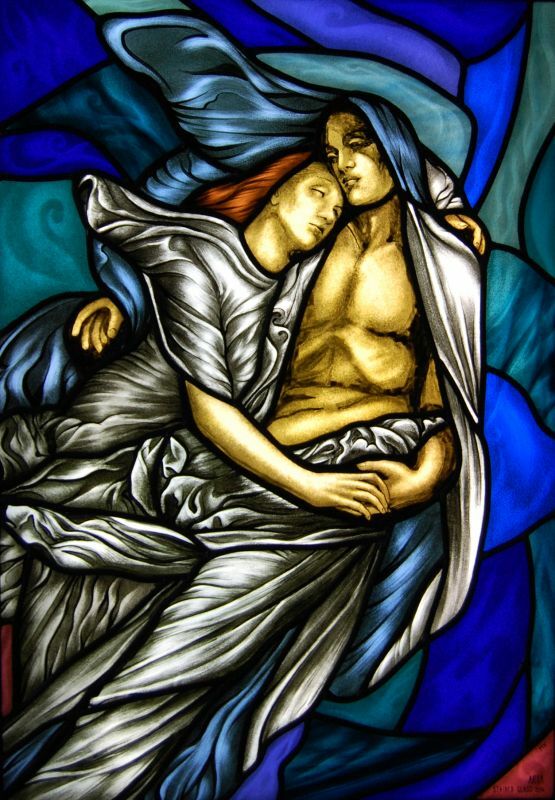 The window is inspired by Edward Burne-Jones' The Days of Creation. 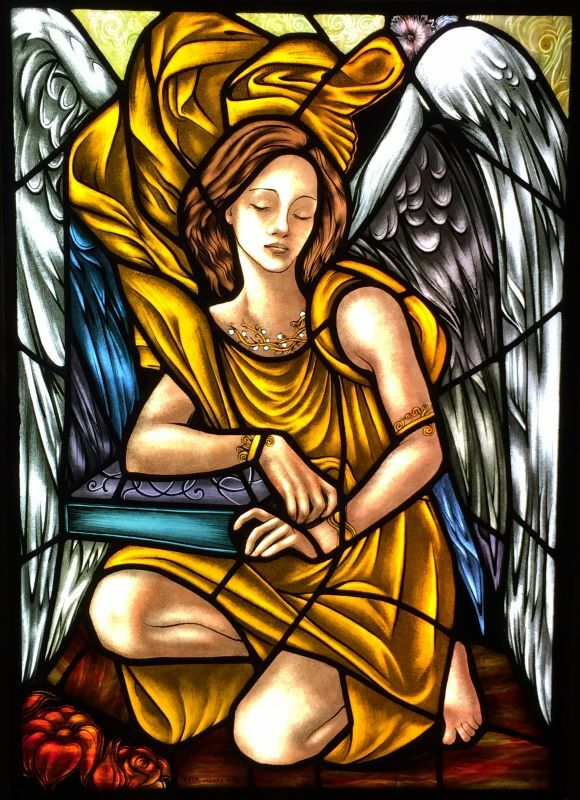 In fact, in Burne-Jones painting, the angel represents the seventh day of creation, when God rests. Here the heroine is demure. She is crowned in myrtle playing a psalter surrounded by lush vegetation. The second window is titled, Serene. 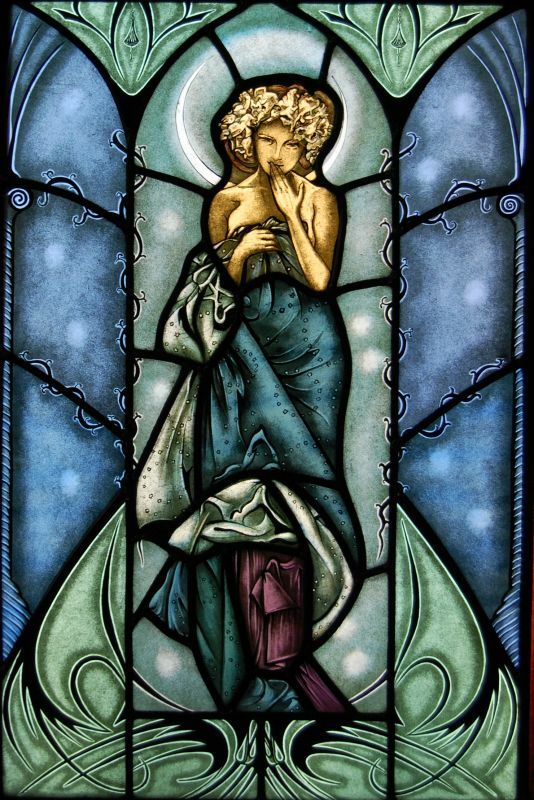 This window draws inspiration from Dante Gabriel Rossetti's The Chalice of Mary Magdalene. love story of Paulo and Francisca.